Imagine the climate suddenly switching: Britain becomes like Alaska. That’s what happened about 12,800 years­ ago. In just a few decades, Earth returned to nearly ice age conditions. About 1,300 years later, the cold era called the Younger Dryas ended just as abruptly. But how do we know the change was so abrupt? 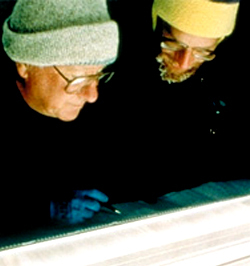 Geologist Richard Alley and his colleagues found the evidence in ice cores from Greenland. Each of the core’s layers of snow and ice contains a year-to-year record of Greenland’s weather. Alley plotted on a graph each annual record for the past 110,000 years. 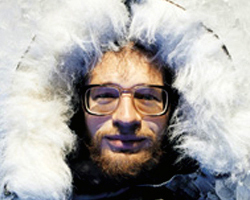 He was stunned by the results: The Younger Dryas changed as if by a light switch.